We’re hearing a lot these days about potential downstream effects of current efforts to repeal and replace Obamacare (the Senate’s Better Care Reconciliation Act and the House’s American Health Care Act). Recent media coverage highlights how this legislation may affect women and their babies. A flurry of attention has been paid to a seminal 1996 study, aptly titled “Saving Babies,” which showed how Medicaid coverage during pregnancy reduces infant mortality (death during the baby’s first year of life). This research lays bare the reality of how important a mom’s care is to her baby’s health, and how much is at stake in current health policy debates. The death of an infant is almost always met with deep expressions of sympathy and condolences. Though appropriate, these are not enough: they do not prevent future deaths or change America’s ongoing problem with infant mortality. Now is not the time to go backward in our policy. The data show that American babies are more likely to die than babies in many other countries across the world. The 2016 US infant mortality rate (5.8 deaths per 1000 live births) is higher than 56 other countries. It’s not just the richest, most developed countries that have us beat. Our infant mortality rate is higher than Latvia (5.3 deaths per 1000 live births), where per-capita income is $14,630 versus $56,180 in the United States. Though US infant death rates have been slightly declining over the past couple of decades, they’re falling more slowly in the United States than in other wealthy countries, and have stagnated in recent years. Moreover, racial disparities in infant mortality are staggering and shameful. 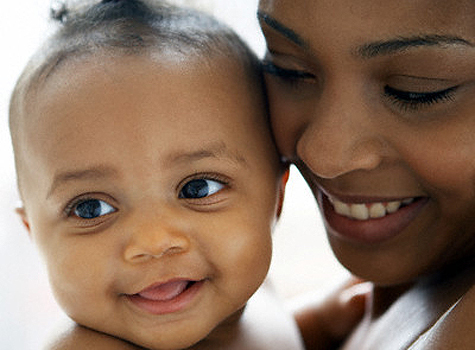 Black infants are twice as likely as white infants to die before their first birthday. What’s worse, a JAMA Pediatrics study published this month shows that the black-white disparities in infant mortality have increased over the past 3 years. We can do something about this, but it will take more than expressions of grief. Change starts with mom, and to comprehensively address infant mortality, the focus must shift from the tragedy of babies’ untimely death to more complete and consistent care of their mothers before, during, and after pregnancy. The “practices that save lives” have been compiled and well-documented by the World Health Organization and the World Bank, and US health plans, clinicians, administrators, and policy-makers would do well to consult these lists of evidence-based interventions to reduce perinatal mortality during pregnancy and at the time of childbirth. However, for women to access these clinical services, they need to have financial, logistical, cultural, and geographic access to the care they need. We will discuss these in greater detail in future blog posts. In the context of current political debates in U.S. healthcare policy, the evidence base on two topics is particularly notable: contraceptive access and adequate prenatal care. International evidence shows a link between family planning and fewer infant deaths via birth spacing and preventing high risk births to younger and older mothers. Additionally, a Cochrane review shows that infants whose mothers attended fewer prenatal visits may be at increased risk of dying, compared to those whose moms received standard prenatal care. While these studies were conducted largely in low- and middle-income country settings. The findings may well apply to many low-income U.S. women who struggle to access adequate prenatal care. These examples illustrate that change requires leadership from public programs, health plans, clinicians, and healthcare delivery organizations. Current health policy debates – especially as they relate to Medicaid programs, contraceptive access, and the inclusion of maternity coverage as an “essential benefit” in health plans, bring this discussion into sharp focus. Reductions in access to insurance, contraception, and prenatal care may risk increases in infant mortality. Our next blog post highlights specific steps that these stakeholders can take to improve maternal and infant health, and to directly address racial disparities in access to, experiences of, and outcomes of care.